In 2007, Vlad and I were working at SAP Research on a European project called “SOCRADES” (disclaimer: vintage video content inside, remember this was 2007 :)). The goal of that project was to create a service layer for the Internet of Things. In short it was all about integrating real-world Things to applications so that the media gap between, say, real-world sensors and ERP applications would be drastically reduced. The idea was sound, really sound. The approach we used much less… We started looking at WS-* (aka big Web Services, or SOAP WS) services and pushing them down to devices. The service oriented approach was interesting, sadly the tools, languages and protocols felt rather out of place for real-world objects: they were too heavy and quite often not right for IoT developers. Rightfully so: WS-* wasn’t designed with embedded services in mind! It took us a while to drop the idea, but we eventually learned from our mistakes. We (and others of course!) started to look for alternatives and converged on this idea (influenced by the early work of others such as the Cooltown team): the Internet connected computers to one another, but the Web is really made it successful! So why don’t we use, re-use and develop Web standards so that the Web could become the universal application layer of the Internet of Things? The Web of Things (WoT) was born and the REST is history. We wrote our PhDs on this very idea and never left the space, fascinated by the simplicity – and especially flexibility – of the WoT. In 20011, we founded EVRYTHNG on these principles and learned a lot more about making the WoT a reality. Through years of trial and error and navigating our way through the deployments of millions of actual Web Things into the world, and also by interacting with the WoT community filled with people who shared and shaped our vision. Writing a book about the WoT saga is an idea that has been sitting in the back of our minds for a long time, so when Manning contacted us about writing a book dedicated to the Web of Things, we jumped on the opportunity! Today, we are proud to announce that this idea has materialized and is called “Building the Web of Things“. For us, writing this book is the most exciting way to synthesise what we have learned and built since those early days and share all that with you! Our goal is to help everyone fast-forward through the Internet of Things revolution and build future-proof Web-connected products. We want to enable you to build not only networks of Things, but also applications that will profoundly change our lives by bringing Things – all kinds of Things – to the World Wide Web. 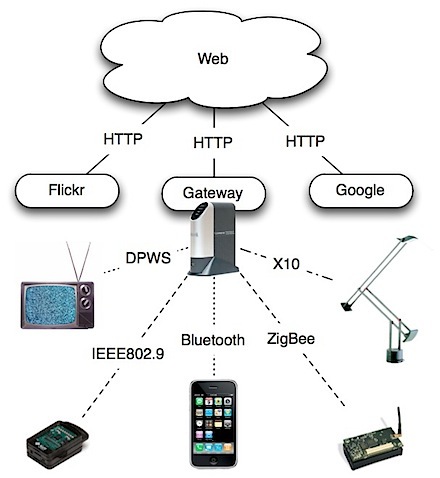 And this is what the Web of Things is really about: creating a universal application layer protocol for a truly open and programmable Internet of Things. No doubt, some of the topics along the journey will be easy to grasp for you, members of the WoT community! Other topics might be more challenging and novel. So regardless if you’re a seasoned developer, a system architect, or a curious amateur with basic programming skills, this book will enable you to become an active participant in the Web of Things revolution that is happening! 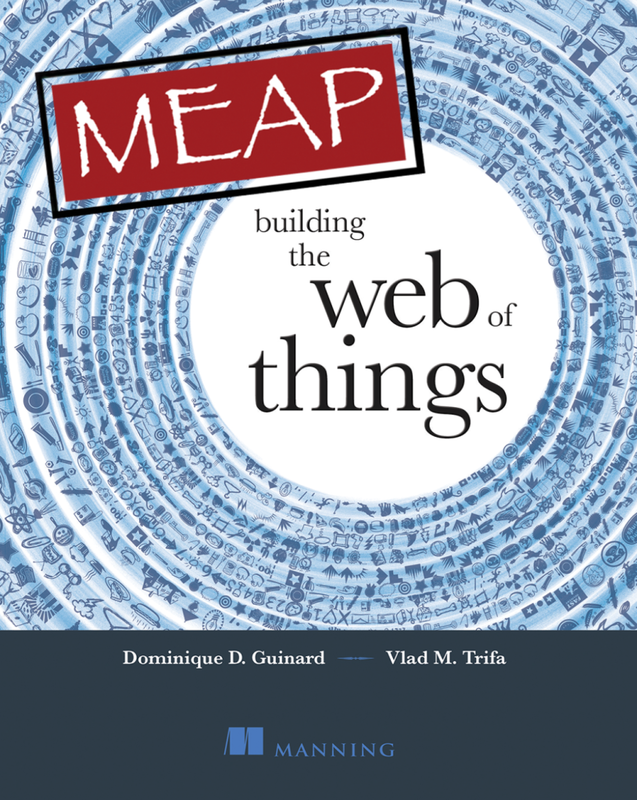 “Building the Web of Things” has just been released in early access (MEAP as Manning calls them), which means you can buy it today and get it before anyone else, by getting each of the chapters as they get written. It also means you can influence what gets written in the book and help us shaping it via the book’s forum. Wait, there is more: if you buy the MEAP now, you can use the code “mlguinard” when you check out and you’ll get a sweet 50% off! Looking forward to your feedback, suggestions and comments!